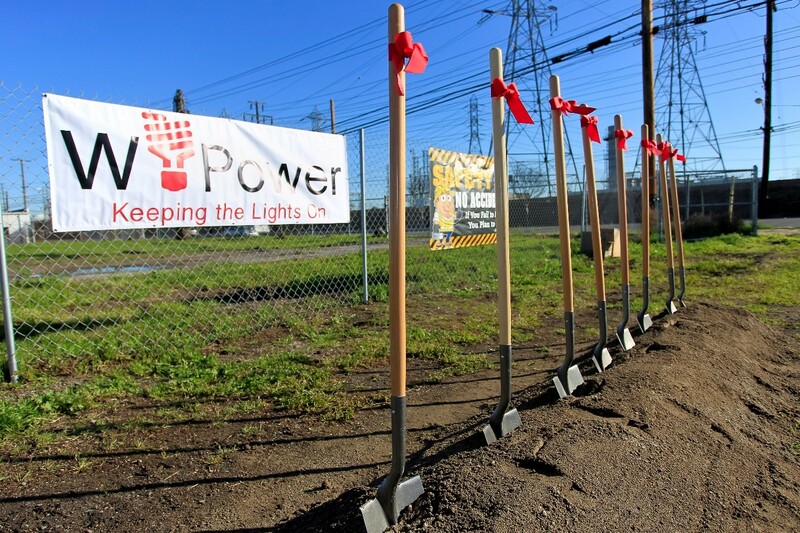 February 11, 2019 – Stanton, CA – “GOOD MORNING STANTON!”, said an elated Judi Dittmer, Chairwoman of W Power, to a large crowd at the site of what will soon be the Stanton Energy Reliability Center (SERC). A number of speakers had an opportunity to share their thoughts and wish W Power well at this festive occasion including Stan Mayor David Shawvers, Theresa Harvey, the Chairwoman of the North Orange County Chamber of Commerce, Ernesto Medrano from the Los Angeles and Orange County Building Trades and Harold Dittmer, the President and CEO of Wellhead, who patented the EGT® hybrid technology being utilized. Wellhead affiliates will also manage the construction, start-up and long-term operations and maintenance of the facility. SERC will utilize a state-of-the-art hybrid technology developed and patented by Wellhead. Southern California Edison has upgraded a few of its facilities to utilize this technology and SERC will be the first new build of this technology. “We believe that this is the technology of the future and will provide the bridge that California needs to a carbon free future,” stated Hal Dittmer, President and CEO of Wellhead. “This has been a long journey over which we have built a wonderful partnership with the City of Stanton. How fitting that we are breaking ground on one of the most modern and sophisticated energy reliability centers anywhere in the world on Thomas Edison’s Birthday”, commented Kara Miles, President of W Power. SERC is slated to come on-line in time for the Summer of 2020. W Power is a California certified woman-and-minority owned business enterprise (“WMBE”) focused on doing business in California’s energy industry. W Power develops, builds, owns and operates community energy reliability centers (CERC).